Ski Basics is an independent catered chalet company based in Meribel offering great value ski holidays with an emphasis on exceptional service. The importance of chalet staff is pivotal to the success of any ski chalet company in the Alps and, whilst ski jobs in Meribel can be demanding, Ski Basics believes that if a chalet company has happy staff, this in turn leads to happy customers. Ski Basics not only excels in customer service, but also prides itself on going that extra distance to ensure that their chalet hosts are looked after so that they can truly enjoy the unrivalled experience of a ski season in Meribel. Perhaps this is one of the reasons that so many of our chalet girls and boys return season after season to work for us again! selecting applicants for their warm nature, enthusiasm, experience, hospitality skills and professionalism. Make sure that you exercise the same level of research when looking for your dream job in Meribel. It is important to choose a quality ski chalet company that is well-established with a good online presence and a good reputation both locally and internationally. Speak to past members of staff, see what past guests have to say about their holiday experience and ensure that you find out everything you can about the company before applying to work for them. Know Your Stuff Our staff are absolutely passionate about skiing in Meribel, and are well-equipped to give guests insider information about anything from where to find the best powder, to booking that lesser-known little cabin for lunch. Even if you haven’t done a ski season in Meribel before, do at least a little research before applying for a ski job so that you know what to expect and there are no surprises when you arrive on the mountain. We are firm believers in that old adage that happy staff makes happy customers so we invest heavily in our staff to ensure that they are well-equipped and thoroughly trained to not only be able to offer the very best service, but so that they can get the most job satisfaction from their ski season here in the Alps. Choosing the Right Ski Job in Meribel Whether you are looking to become a chalet host, chalet cook, driver or chalet manager; there are many ski jobs in Meribel to choose from so ensure that you choose the right role for your particular skillset. It sounds really obvious, but do not choose to be a cook if you can’t boil an egg, and likewise don’t choose to be a chalet host if you are not a ‘people person’ with a big smile! 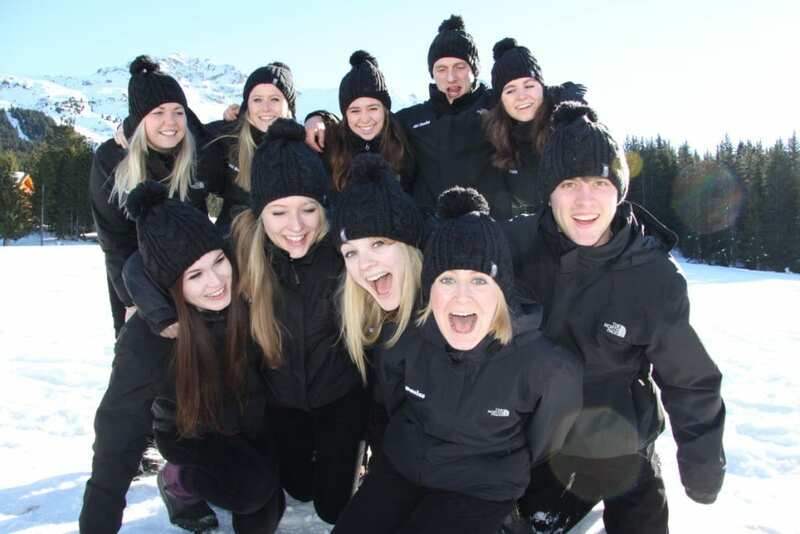 Here at Ski Basics we do not specify age restrictions or specific qualifications as we believe each candidate should be judged on their experience, confidence, and friendliness (we do ask however that all applicants hold a valid British (EU) passport with a permanent UK National Insurance Number). Skiing in Meribel Some ski chalet companies in Meribel give their staff very little time on the mountain to enjoy the white stuff-which let’s face it, is why they come here in the first place! When not working, our staff have plenty of opportunity to enjoy the mountain whilst working as chalet staff in Meribel. Skiing in Meribel is a very real pleasure which we believe everyone should be given the chance to enjoy, so when looking for a ski job ensure that the company is clear about length of working hours, days off etc so that you are able to enjoy a good amount of time on the slopes too. Take Pride in Your Ski Chalet Job At Ski Basics we believe that our staff are among the happiest in the Trois Vallees, due partly to the job satisfaction they experience when they do a job well and are rewarded for doing so. Some might think that it’s “just” a chalet job and approach it trivially, not anticipating the exciting (sometimes challenging) adventure which lies ahead! Our guests tend to be very grateful individuals who are generous in spirit; they have already found a great deal on their ski holiday in Meribel, and are usually pleasantly surprised when they realise exactly how far we go to ensure their holiday runs seamlessly. We have a high return rate of both customers and staff, and like to think that it’s because of the high level of attention we offer to each. If you take pride in your ski chalet job, you’ll find a greater degree of job satisfaction and be employed by the best companies- and it doesn’t get better than that! We are currently recruiting so if you think you have what it takes to work for Ski Basics please apply for a ski job in Meribel here. We can’t wait to share the adventure with you!